STOP SPAM. READ BOOKS. | eShop Boutique | Sites web, pages de ventes, squeezes pages, graphiques – eshop la qualité avant tout! Our theme comes with the integrated reCaptcha widget for contact form shortcode that helps you protect your email from annoying spam bots. Its setup takes just few minutes but will definitely save you lots of time afterwards. If you decide to turn reCaptcha off, that can be also easily done from the Contact Form settings. 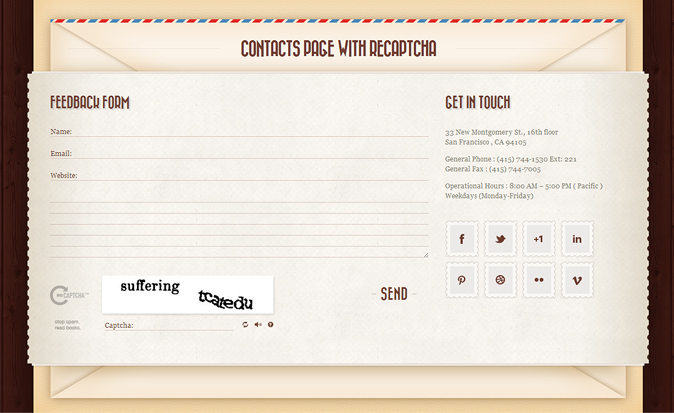 Check how contact form with recaptha looks here.